I am not one to put a lot of stock into self-diagnosis via the internet. In fact, I am pretty sure that by answering the right questions about symptoms on WebMD result in a cancer diagnosis 97% of the time. Therefore, I really try not to pay attention to every new medical or psychological condition that pops up in my normal research pools. Well, that was the case, until I heard about Misophonia. Misophonia is defined as an intense or angry reaction to an everyday sound like lip smacking, pen clicking, or in my case – chewing food. When I first read the description, I thought “Wow, is this really a thing? because if it is, I have it.” Nothing drives me crazier than being able to hear people chew food. It’s not just a mild annoyance, I am taking RAGE. It is so weird because I am not an angry person by nature, so my reaction to something as simple as the sound of chewing food is unsettling to me. Self-diagnosis or not, I think that misophonia is completely legitimate. Now, there is an emerging community of researchers that share that belief. One of the problems with studying misophonia is that people who have it often don’t understand it. Neuroscientist Vilayanur Ramachandran is one of the only scientists to publish a study on misophonia. The study originated when a support group for people with misophonia contacted Ramachandran to study their condition in 2011. According to Miren Edelstein from the University of California, “we were kind of skeptical. Nobody had heard of this disorder.” Their skepticism was reduced when they interviewed 11 members of the support group. What Edelstein found was that anyone who was subjected to “chewing, mouthy sounds”, they reacted negatively. 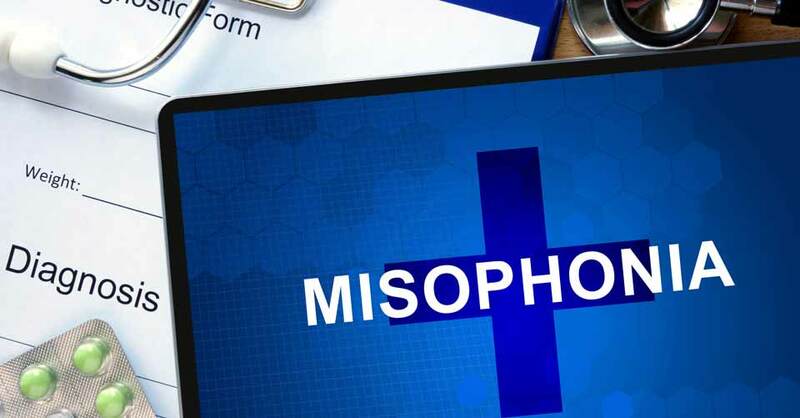 The difference was that the people who claimed to have misophonia reacted MORE. This indicated that misophonia may just be an extreme end of a normal reaction scale, but it is a real thing. Another interesting thing is that the volunteers who had misophonia all knew that their reactions were extreme and inappropriate. Some of the volunteers even talked about how they had developed coping mechanisms to deal with their misophonia. Arjan Schröder and his colleagues at the University of Amsterdam proposed that misophonia should be classified as a new psychiatric disorder. Schröder and his team studied 42 patients who claimed to have misophonia and found that specific sounds triggered and aggressive response and social isolation coping mechanisms. Therefore, according to Schröder, misophonia should be categorized on the same scale as OCD. Although there isn’t a lot of research being done for misophonia, the research that is being done is very comprehensive. As someone who self-relates to misophonia, I am glad to see that there are other people who are addressing what can be an awkward mental reaction to something that is seemingly innocuous.